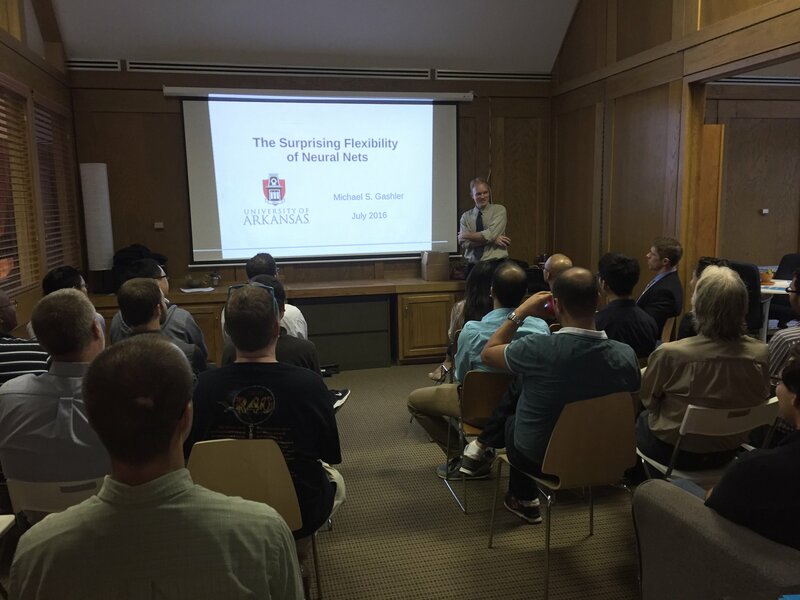 The NWA Data Science Meetup met in the Lofty Labs co-working space on July 26th where Dr. Mike Gashler of the University of Arkansas presented on Neural Networks: Applications in Time Series Prediction and Robot Control to a standing room only crowd. Dr. Gashler's primary research area is in machine learning, and he is the author of waffles, an open sources machine learning toolkit. Gashler presented on alternative uses for neural network algorithms, beyond traditional applications like image and handwriting recognition. For more information on the NWA Data Science Meetup, visit the group's profile on Meetup.com. For inquires about using Lofty Lab's co-working space, fill out our space request form!